Christmas Cocktails are needed to help get you through the holiday season. Well…they might not be “needed” but they definitely enhance the experience 🙂 And, cocktails should be as important as the food served at any party. A themed cocktail is fun for guests and creates another focal point of the night. 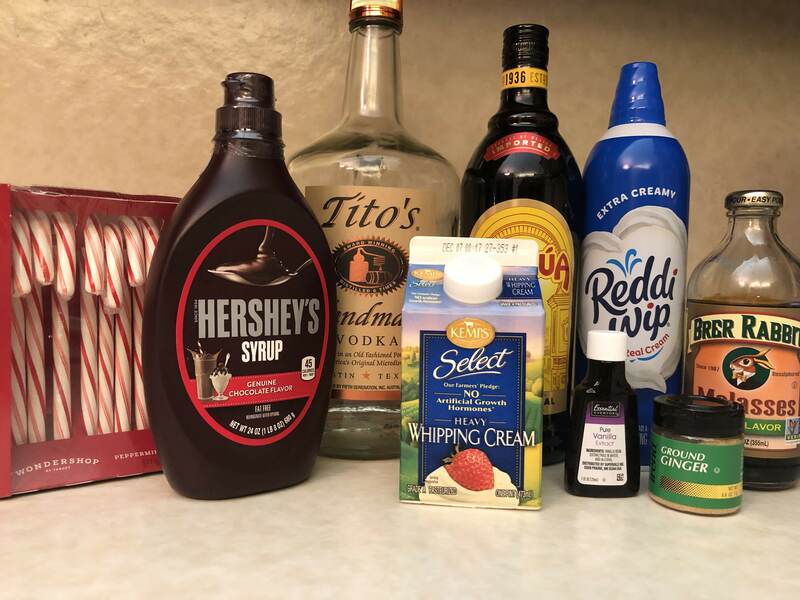 I have three cocktails to warm you up when (baby it’s) cold outside. 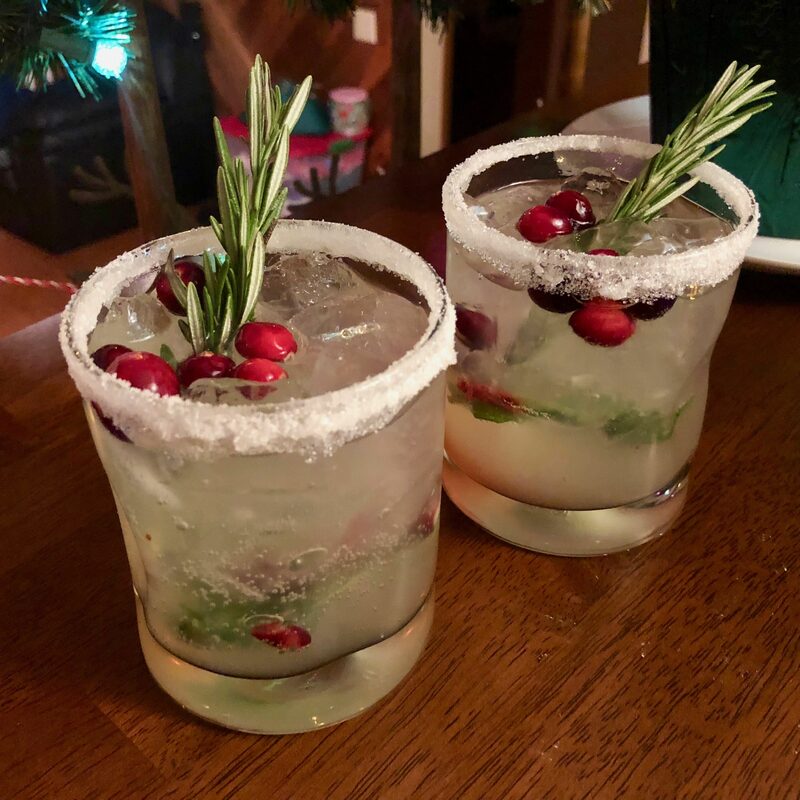 First is a Mistletoe Cocktail. 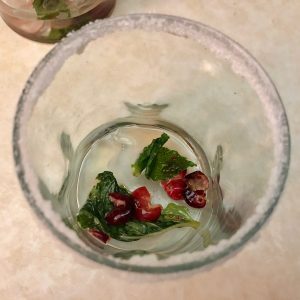 This cocktail is appealing to the eye and something you (or your guests) can enjoy while socializing before dinner. The ginger beer (non-alcoholic) gives this drink a spicy flavor while the sugar rim adds a sweet aftertaste. I said non-alcoholic, but this drink does contain vodka. The ginger beer is what is non-alcoholic, so if you want to skip the vodka and perhaps add a splash of Sprite instead, you can serve this to your underage guests. The recipe can be found here and serves one. 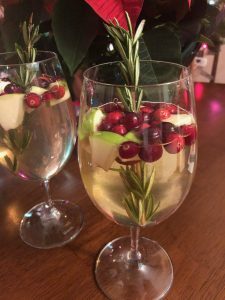 Second is a Holiday Sangria. 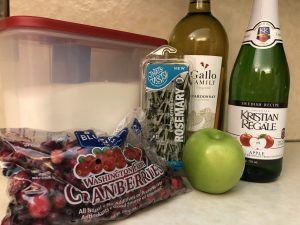 This sangria is great to pair with any appetizer or meal. It’s light and refreshing, yet full of flavor. 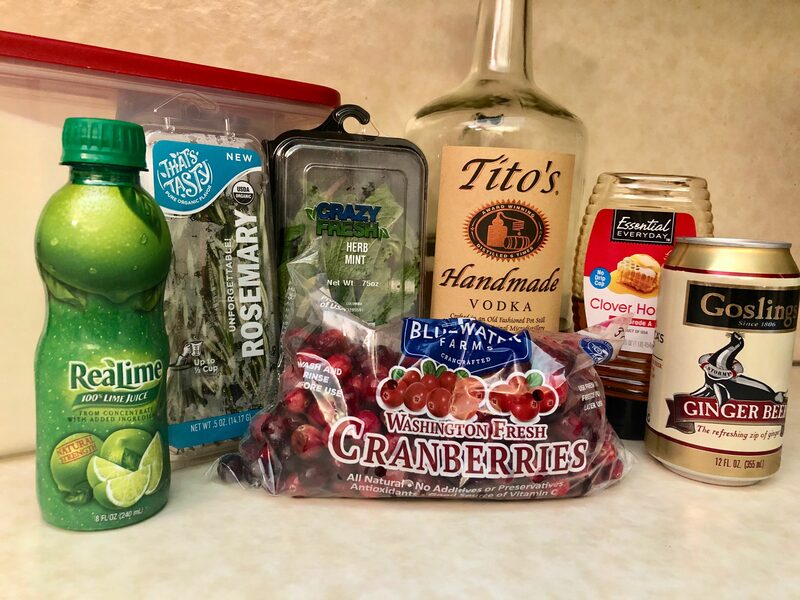 It’s also something you can make ahead of time and refrigerate until ready to serve so you don’t have to worry about mixing drinks when your guests arrive. The longer the sangria sits in the fridge, the more the flavors come out. I used Chardonnay, but any white wine will work as long as it’s not too sweet. The recipe can be found here and serves 4-6. Last is a Iced Chocolate Cocktail. This cocktail is incredibly festive! It’s a cold drink and resembles a taste similar to a Golden Cadillac. It’s sweet, creamy and chocolatey. 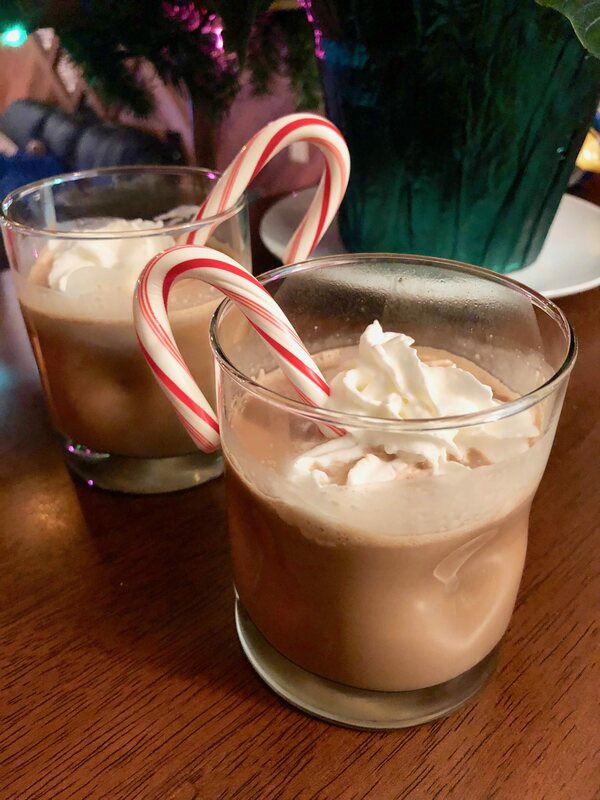 I like to garnish with a candy cane because I like the flavor the peppermint adds and also like that you get a little treat with your drink 🙂 This drink is very rich so it’s something that could be served before dinner or saved and used as an after-dinner drink. The recipe can be found here and serves two. I hope you enjoy these cocktails as much as I did! 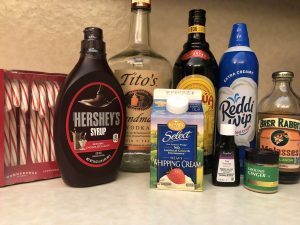 This entry was posted in Christmas, Uncategorized and tagged Chocolate, Christmas, cocktail, Holiday, Mistletoe, Sangria. Bookmark the permalink.